Raymond Lahoud, Esquire, is the Leading Immigration Law and Deportation Defense Lawyer. Attorney Lahoud is a Partner at Norris McLaughlin and Chair of the Firm's Immigration Practice Group. McLaughlin's Immigration Attorneys serve individuals, families, small-businesses, corporations, non-profits, educational institutions, students, hospitals, employees, employers, investors, temporary workers, entertainers, performers, athletes and many others with all immigration related matters, from the processing of visitor, executive, employment and family visas to defending against deportation from the local immigration courts to America's highest appellate courts. 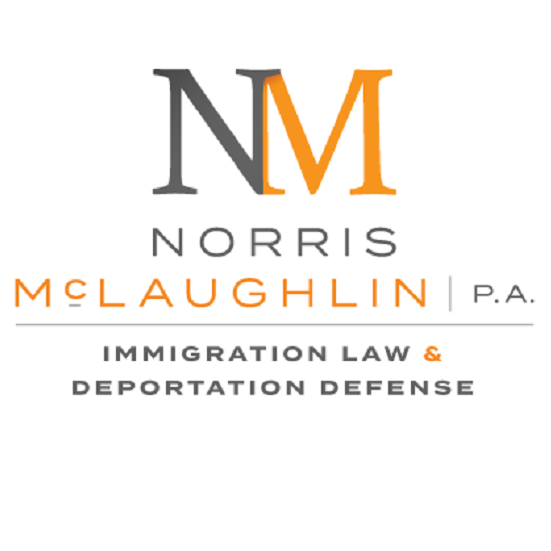 Norris McLaughlin is the Leading Immigration Law Firm for individuals, businesses, employers, investors, students, international employees, and more. The Immigration Law Group is skilled in all types of immigration matters and representation before the nation’s immigration-related agencies, including the Department of Homeland Security, United States Citizenship and Immigration Services (USCIS), Executive Office for Immigration Review, Board of Immigration Appeals, Department of State, United States Embassies and Consulates, Department of Labor, and any other federal agency, whether in the United States or overseas. The attorneys in the Immigration Law Group are experience members of the American Immigration Lawyers Association. I write to thank and express the greatest appreciation to Attorney Raymond Lahoud. He is the best in immigration law, saving my business from collapse after a terrible Form I-9 audit we went through last year. He came in and saved the day...saved me several hundreds of thousands of dollars in immigration fines because of employer immigration compliance issues. He is a DIAMOND of a lawyer.